Paris has placed the EU’s endocrine disruptor strategy on the agenda of a meeting of environment ministers on Thursday (12 June), saying the effects of some chemicals on the human body are now sufficiently documented and call for urgent action at the European level. A briefing note circulated by France ahead of the meeting shows Paris is losing patience with the European Commission’s long-delayed endocrine-disruptor strategy. The Commission had planned to issue a definition of endocrine disruptors in December 2013, but its publication was delayed by the EU’s Environment Commissioner, Janez Poto?nik, who wants to complete an impact analysis before taking any action at European level. The scientific community is divided on how to define endocrine disruptors and under what circumstances they may impact human health, especially at very low doses. But France disagrees and says there is now ample scientific evidence to move forward on the matter, based on the precautionary principle. “The effects on human health and the environment are now documented and call for action to prevent and limit risk exposure especially among sensitive populations – pregnant women and young children,” it states. The French note received backing from Sweden and Denmark, two countries which have led calls to regulate what some scientists have called “stealth chemicals” because their precise source cannot be traced easily. At issue is the definition of criteria for what constitutes a hormone-disrupting chemical. France wants a European definition “based on the intrinsic properties of hazard, without taking into account the ‘potency’” of the substance – or the response that a drug might generate at very low doses for the human organism. Based on this definition, France suggests establishing three categories of endocrine disrupting chemicals, based on the level of certainty of the scientific community over their impact to the hormone system – “verified”, “presumed” and “suspected”. This definition, France adds, should be adapted to the different routes or “windows of exposure”, including low dose contamination and pregnancy. 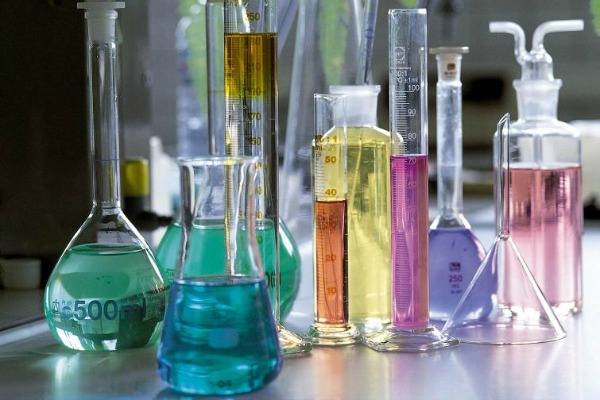 The French proposal, based on the inherent hazardous properties of chemicals, will be controversial for the chemicals industry, which insists on the need to consider hazard and exposure jointly in order to evaluate the actual risk. Jeff Stier, a senior fellow at the National Centre for Public Policy Research in the United States, argued that France had flouted scientific principles when it sought to ban the use of Bisphenol A (BPA) in any food contact item starting in 2015. Stier said calls for regulation, backed by environmental campaigners and France, are “based an old but still unproven theory that argues that very low levels of exposure actually have an even larger effect than higher exposures”. Andreja Škerl, Press Officer for Environment, at the European Commission, was a bit more generous towards France. “We believe it is a good idea to discuss this important issue in the environment council,” he told EURACTIV France, “and we will all listen carefully (to) the information point from France on endocrine-disrupting substances tomorrow”. Others meanwhile, stress the worthiness of those chemicals in everyday products such as plastics and warn that the foundations of science risk being turned upside down if precautionary measures are taken.